I love Denise Hunter and I was excited to read another of the A Blue Ridge Romance books by her. 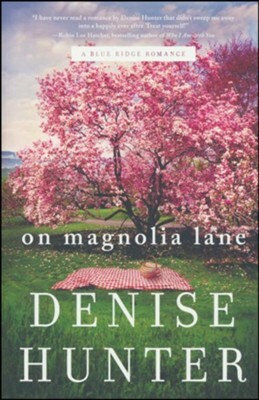 On Magnolia Lane tells the love story of two individuals who have known each other for quite some time but who are just starting to really care for one another. Deception is a big part of this book and it plays a role in how things work out for the two people. Those who enjoy contemporary romances will appreciate this book. The characters are so interesting and likable. The story is interesting and different from the traditional romance book. I was interested in what I was reading from start to finish. There is nothing in particular that I didn't like about this book. I give On Magnolia Lane 5 out of 5 stars.